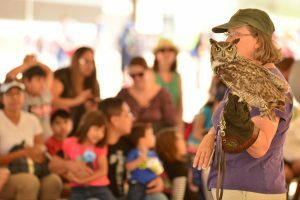 Bring the family to the free Wildlife Day this Saturday, Nov. 14, from 10 a.m. to 3 p.m. at Sportsman’s Warehouse, 19205 N. 27th Avenue in Phoenix, near Interstate 17 and the 101 freeway. Admission is free. Visitors can view and photograph live animals, including prairie dogs, a ringtail, reptiles, various owls, hawks and falcons. Read more.